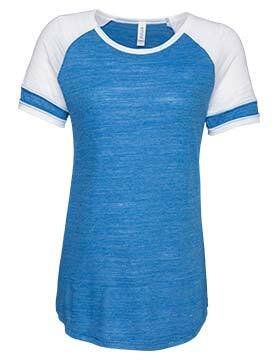 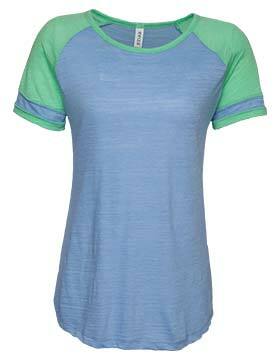 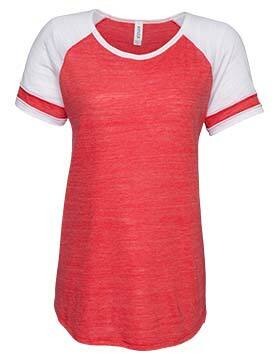 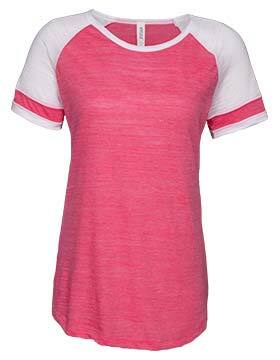 Enza 076 - Ladies Vintage Triblend Colorblock Tee is constructed of 3.5 oz., 50% Polyester / 37% Cotton / 13% Rayon. 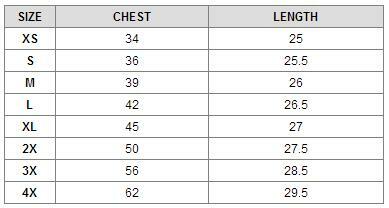 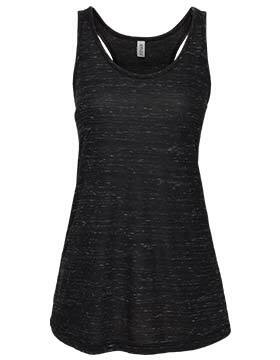 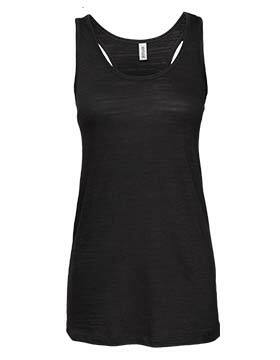 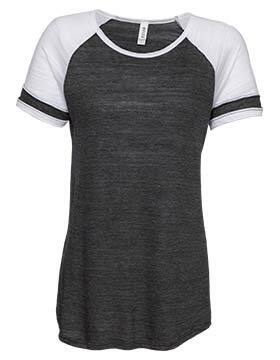 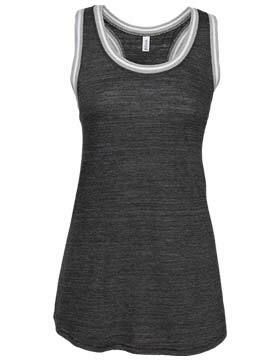 Contrasting raglan sleeve and neckline are fashionable. 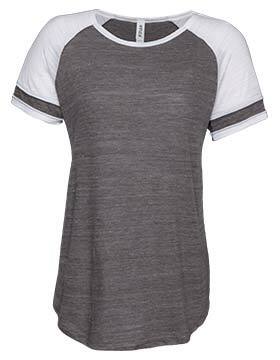 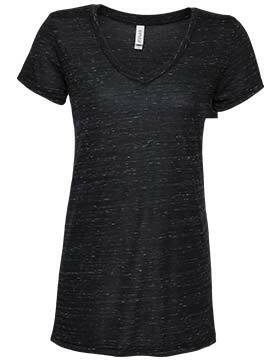 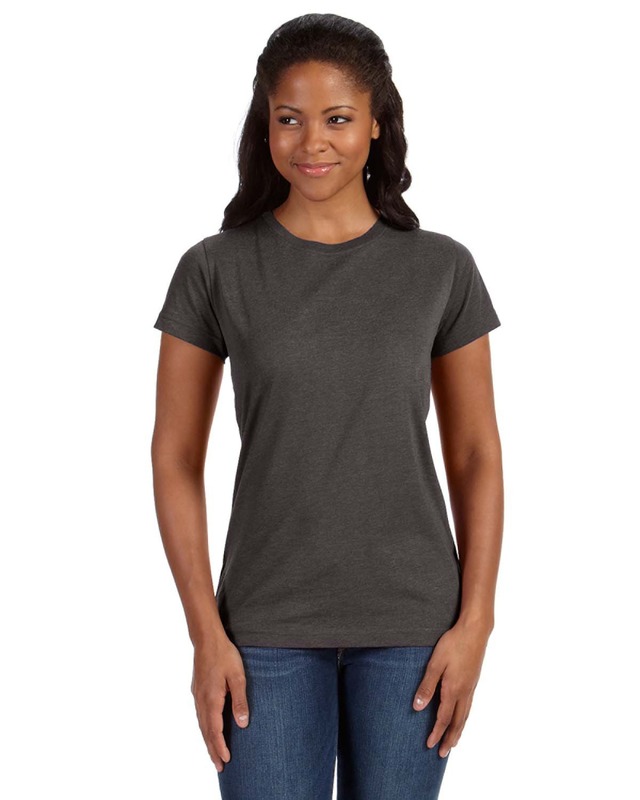 Traditional silhouette, tear away label and curved hem at sweep make this tee durable. 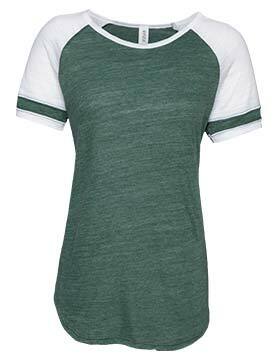 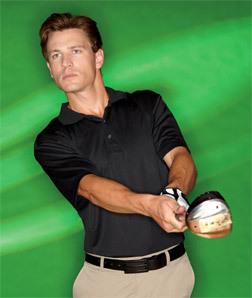 There is sport strip on sleeve. 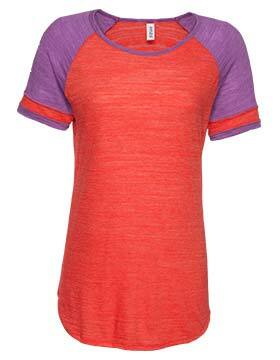 There are eight colors for you to choose.